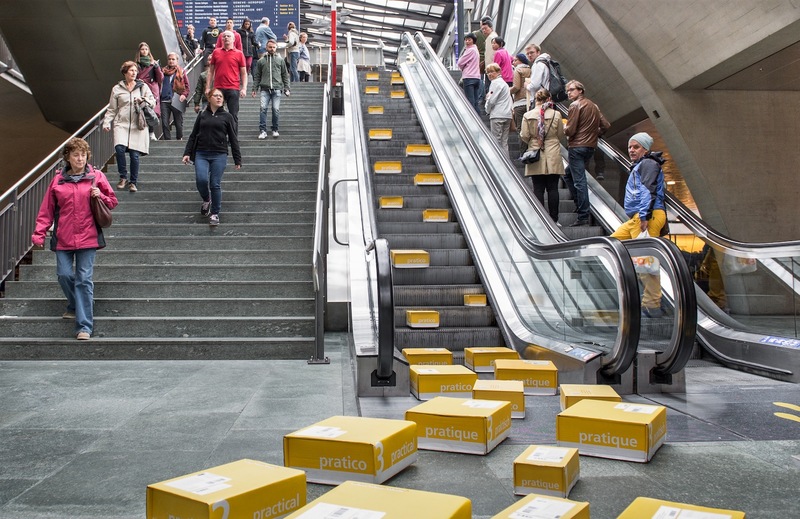 Here's some cute, simple fun from Jung von Matt/Limmat for Swiss Post—an outdoor stunt in Lucerne, Switzerland, in which 30 modified packages were seen roaming the streets, looking for their intended recipients. The technology couldn't have been simpler: The packages were propelled by remote-controlled cars, operated by 30 professional remote-controlled-car drivers (yes, apparently there is such a thing). The point? If you miss a package being delivered, you don't have to collect it at the nearest post office. You can go online (or to the Swiss Post app via a QR code on the delivery slip) and determine where and when to get your parcel. In other words, it will come to you. In the film, the packages contained gifts. And the recipients' reactions were captured live and unrehearsed, the agency says.